Judwaa 2 Sixth Day (Wednesday) Box Office Collection. Steady! 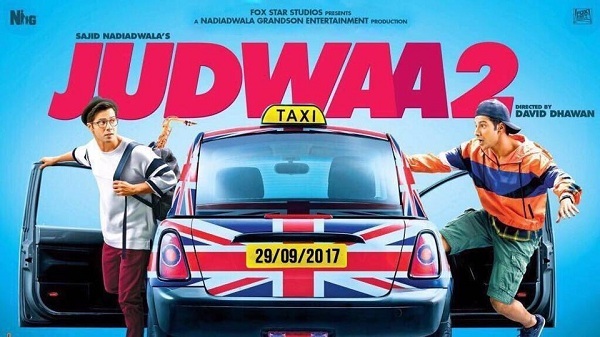 Judwaa 2 has collected an approx 6.75 crore nett on Wednesday (Day 6) at box office. Thus, film is very much steady in its collection and registered a nominal 15% drop from previous day. Judwaa 2 total business after 6 days is approx 92 crore nett. Film first week collection is heading towards 97.5-98 crore nett mark. Judwaa 2 is a HIT at box office and now film business from here on will decide whether it can attain Super HIT and go beyond also. If film hold strong on 2nd Friday, then expect a big second weekend and film will then easily zoom past 125 crore nett in its theatrical run in India. Total - 91.95 crore nett (approx). TEPK biz on your site?? 133? ?